Every month we post a schedule on our website and in our Facebook Groups about our Ask the Expert events. It is an easy quick and very informative event. You sign up for a 30 minute time slot. Veronica will call you as requested and you ask questions. These events benefit those that are planning their weddings on their own and need a little help, those that may be looking into hiring a planner, those that may have a "planner" but need more assistance. We answer questions from creating your budget to the best places to find wedding decor. We also answer questions on hosting your Destination wedding or honeymoon at a Sandals or Beaches Resort! These events are free and they are scheduled for the rest of the year so if you need a little help sign up for your 30 minute time slot today! Yes, that is right. We are cracking our business in half! We are splitting and now have two websites! We are also going to add more members to our team to make sure that we are servicing all of our cients in a timely manner and making sure that everyone has a top notch experience! Be sure to check them out! We'll be doing some "renovations" over the next two weeks! If you live in the Triad Area and haven't joined the Facebook Group - Triad Wedding Resale & Planning Group you are missing out. Not only can you find some really great details and new and used wedding decor, but you can also attend classes - both online and in person to make sure that your wedding day is all that you've ever wanted it to be. This group is run by Behind The Scenes Inc and is open to all brides and their families! We don't do ads so you won't be bombarded and of course we want you to ask questions! JOIN THE TRIAD WEDDING RESALE & PLANNING GROUP TODAY! Get our new destination wedding planner guide! We’ll do your wedding guest room block for you! FREE! Check out some alterntatives to a traditional sit down dinner! Now, I'm not going to quote anything here, nor am I going to give you the why's behind why the royals do what they do. There are plenty of websites and blogs about that. I did get the photos from Town & Country's Pintrest page so you may want to check that out too! What I am going to do is take you on a ride of planning your own wedding with true meaning for you and your significant other. To show you how to make sure that each moment is full of meaning, that the planning process means something and so that its not just about - "let me get that too" type of syndrome. I love the fact that the ring has significance. Everything they've done including the proposal and engagment has some sort of meaning to both their past and it moves through to their future together. For this Harry choose the middle diamond, but the two side diamonds are from his mother's engagement ring. 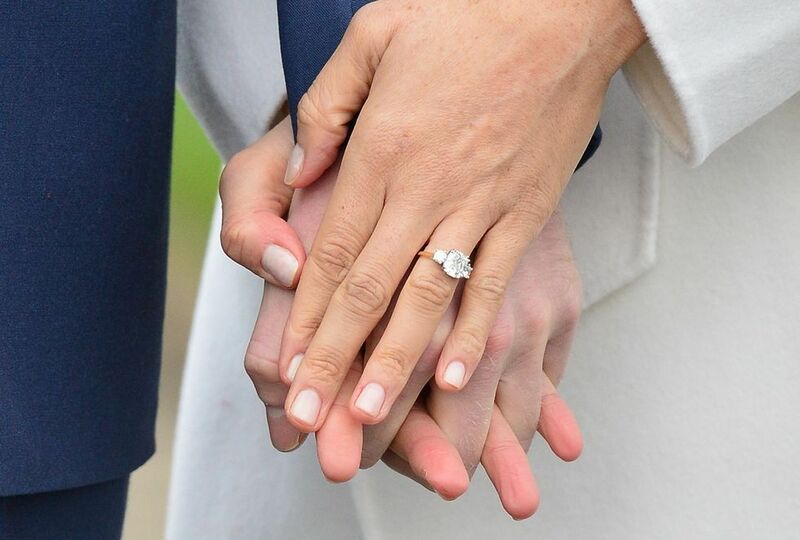 Again, this ring design is significant to the both of them. 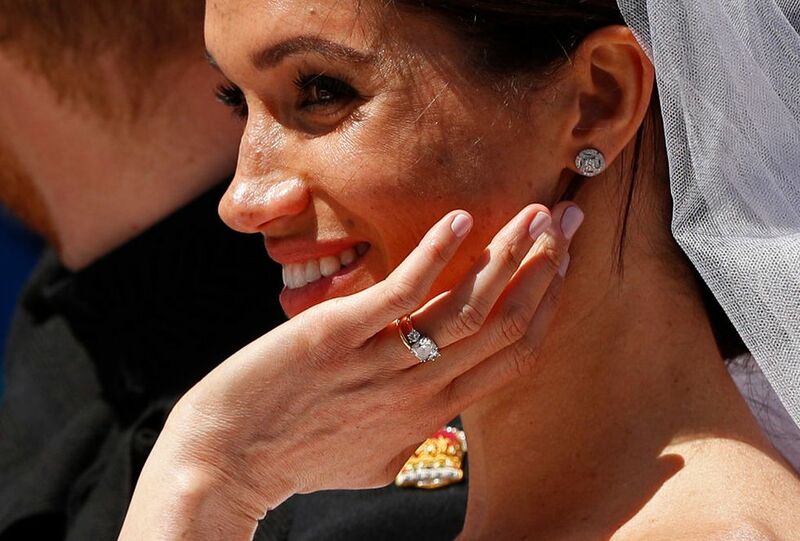 She chose gold bands but the gems are from Harry's moms wedding ring - Princess Diana. How happy her mother must have been for her! Also how nervous and out of place her mother may have felt being in a different country and with Royalty no less! I am super proud of her mom for holding it togeher and being such a beautiful and classy woman herself! I thought her ceremony was just beautiful! 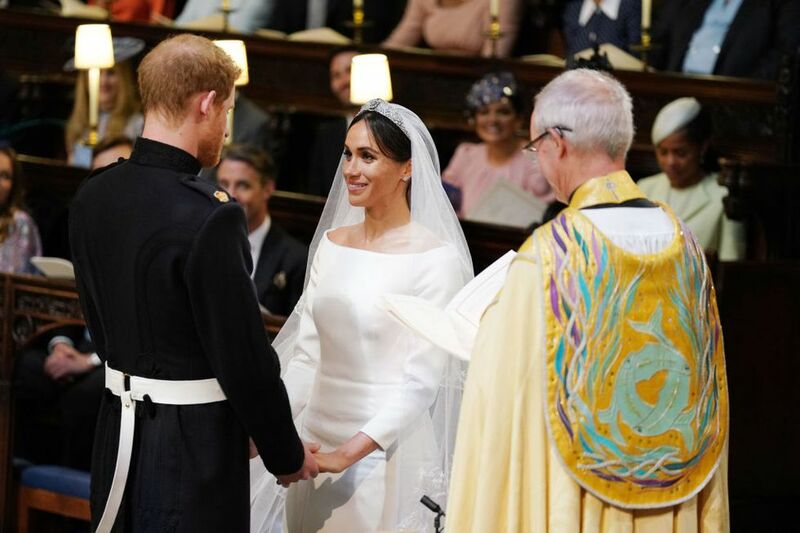 They had the traditions of the old English Church with some traditions of Meghan's own. My favorite part was Ben E. King singing "Stand by Me". Another favorite part was when Prince Harry's Aunt (Princess Diana's Sister) stood up and did her reading. Part of making your own wedding memorable is making sure that you add in your own traditions or start some new ones. Instead of running off for photos like we do here in America, I loved the fact that they went to have a carriage ride to allow the citizens and tourists of Windor celebrate their wedding day with them. Yes, I get it, it was a quick ride through, but how thoughtful. I would have LOVED to have been there! 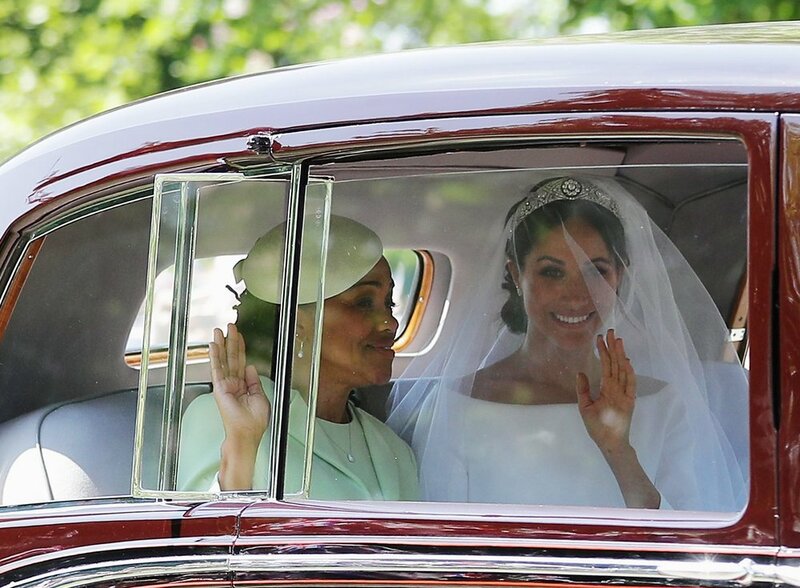 Another fantastic part of Meghan is that she doesn't wear a lot of makeup. She is a natural beauty and just allows that to shine through! In your own wedding what about getting back to the Receiving Line! I know they take a while, but it really helps to move guests along and allows the guests to congratulate you! Ok, I have a little information for you - but its the dress! 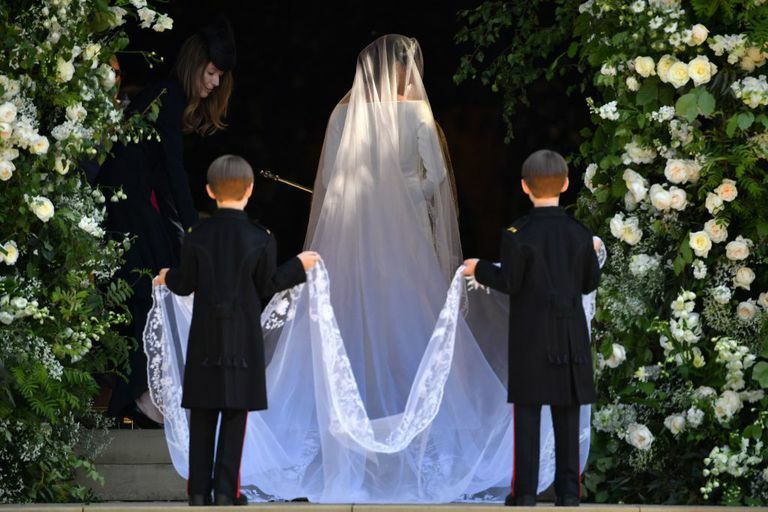 Ms. Meghan Markle’s wedding dress has been designed by the acclaimed British designer, Clare Waight Keller. Ms. Waight Keller last year became the first female Artistic Director at the historic French fashion house Givenchy. I thought it was stunning and classy and sometimes you don't need a lot of "bling" to be shining! Her dress was perfect for her and perfect for the occasion and the location of her wedding. What do you do when you can't choose a Bridesmaid? You choose 10 little ones! I thought this was fantastic and just so cute. She choose family from both her side and Harry's. Also in tradition the bride usually walks before the bridal party - because she is more important. I also thought the page boys were cute and loved catching a glimpse of the wedding planning "shooing" them along! 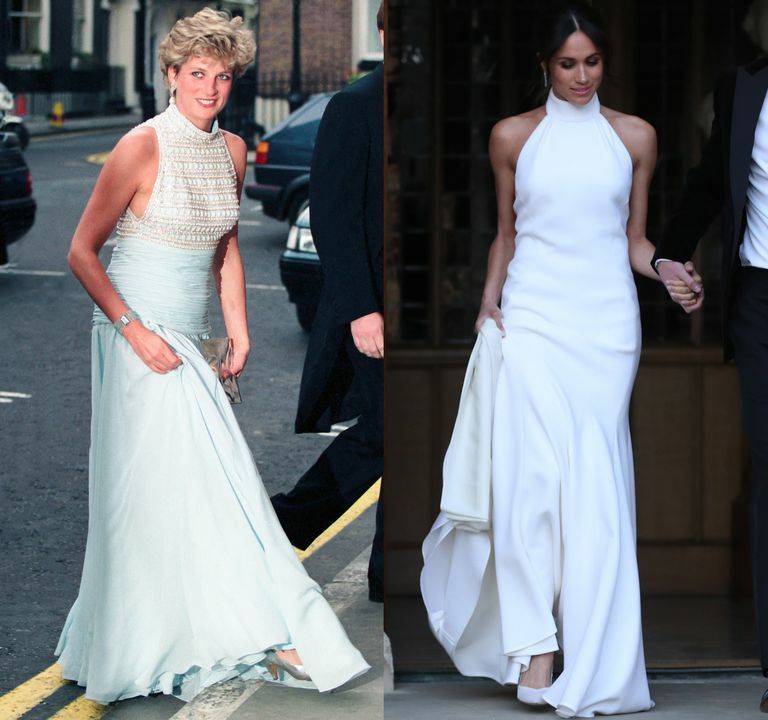 As a nod of respect to Harry's mother Meghan's reception dress was made similar to the one Princess Diana wore to her own reception following her own wedding ceremony. I am eager to see how she does and what differences she can make in our own world. I'll be following up with a couple of posts on the Royal Wedding Invitations and Receptions - yes two, very soon! Unless you are a part of the wedding industry you may not know the difference between a wedding planner and a wedding designer. And yes they are different. I watch a lot of HGTV so I am going to explain this in house terms. :) A Wedding Designer is the artichect of your home. They are the ones that figure out functionality, flow and design of the home. They choose colors and decor and make everything beautiful and flow well for your wedding guess. A wedding designer helps you design floral, choose linen and helps you design your wedding invitations so everything flows correctly. A wedding planner is the contractor they keep the planning on time and make sure that everyone is doing what they are supposed to. They help you with your budget, finding vendors and keep your wedding timeline for you. Do you need both? It depends on the depth of your wedding and then you have those wedding planners that can do both. There are some times when you will really need a wedding designer AND a wedding planner. An example is that you have a large wedding 150+ and you want your wedding day to knock their socks off. And then there are times when you will just need a designer - you want to bring your pintrest board to life or you are having a smaller wedding and may not need the planner, but want all of the fantastic design aspects. We do recommend, and yes, I know we are biased that you ALWAYS have a wedding planner. I know wedding planners can be expensive, but someone there to manage your event the day of is priceless. You'll love the caribbean so much you'll want to stay...come and find out! Check out two really great Facebook resources that you can use while planning your wedding!